The 2016 Republican National Convention is taking place this week, starting this evening. And, barring some surprising drama that may surface as a last-minute effort to override primary voting, businessman Donald Trump will end up being the Republican Party’s presidential nominee. Polling this far shows him losing to presumed Democratic pick Hillary Clinton, but never say never — a lot can happen in three months. With that as the backdrop, a Donald Trump presidency would most assuredly look different than a Clinton presidency, for the economy, for small businesses, and of course, for large, publicly traded organizations. Here’s a run-down of the best stocks to buy of Trump defies the odds and ends up being voted the president of the United States this November. To say the last few years have been challenging for the coal industry would be an understatement. Thermal coal prices have fallen from $80 per ton in early 2011 to $40 per ton now, on the heels of environmental legislation and then a meltdown in prices of natural gas — an alternative to coal. Patriot Coal Corporation (OTCMKTS:PATAQ) and Arch Coal Inc (OTCMKTS:ACIIQ) are just two of the coal miners that have been forced into bankruptcy. Donald Trump is a fan and supporter of coal, however, even if only because it creates jobs. Though his support of coal (and clean coal in particular) has not yet translated into a specific policy, if you believe he’s serious, then Consol Energy Inc. (NYSE:CNX) is one of the few coal miners left in a strong enough fiscal position to capitalize on coal’s resurgence. It’s no big secret that the Affordable Care Act (aka Obamacare) hasn’t been the boon for insurers it was supposed to be. In fact, earlier this year Aetna Inc (NYSE:AET) CEO Mark Bertolini commented, “We remain concerned about the overall stability of the risk pool,” after finding it very difficult to make a profit by being in the Obamacare business. Trump has vowed to repeal and replace the Affordable Care Act if elected. While it’s likely Trump doesn’t see just how difficult such a maneuver would be — not to mention disruptive — there’s no denying any other alternative to the current set of choices would be well-received by insurers as well as consumers. That puts Aetna, one of the healthier health insurers despite the ACA drag, in a position to thrive in an environment of more relaxed laws. Why in the world would an upper-scale home furnishings brand like Ethan Allen Interiors Inc. (NYSE:ETH) be a buy with Trump in the White House? Because Donald Trump says he intends to lower income taxes across the board. While the absolute amount of tax savings would indeed benefit the country’s wealthiest taxpayers (which has prompted plenty of criticism), the biggest relative benefit would be experienced by the middle class, who are more likely to actually change their spending habits with access to a little more disposable income. That is to say, rather than shop at Ikea, a wide swath of middle-income taxpayers would trade up to a brand like Ethan Allen; the uber-rich aren’t likely to alter their spending habits even if they end up paying a smaller tax bill than they normally might. Donald Trump has made no bones about his disgust with China for artificially devaluing its currency as a means of encouraging exports and a corresponding inflow of foreign money. If that mind-set turns into some sort of currency war, gold and related instruments like the SPDR Gold Trust ETF (NYSEARCA:GLD) may end up becoming an important shelter from the storm. It’s not just an uncertain currency outlook that could make GLD one of the better stocks to buy under a Trump presidency, though. He’s also a fan of debt, and more than willing to print money to pay the country’s bills, which pushes the value of the greenback lower. A weaker dollar inherently gives a bullish lift to gold. Most investors haven’t heard of The GEO Group Inc (NYSE:GEO). That doesn’t mean it doesn’t deserve a spot on a list of stocks to buy should Donald Trump take the presidential oath of office come January, though. There’s not a lot of gray area there between the two stances. 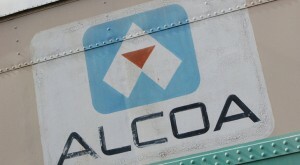 Any investor who has kept close tabs on Alcoa Inc (NYSE:AA) of late will know it’s not just cheap aluminum prices that have been the core problem for the iconic aluminum supplier. It has been the stunningly cheap aluminum being shipped to the United States from China (“dumping”), where companies don’t have to deal with apples-to-apples operational costs. Tariffs have been unveiled that would effectively negate the low-cost of aluminum being imported into the country, but so far none of those measures have been supported enough to become a law. Trump, however, may have more wherewithal to put such measures in place. And make no mistake … Trump wants to impose a steep tariff to balance the playing field Alcoa is playing on. With no fiscal benefit of importing the metal, U.S. users of aluminum will start buying U.S. supplied aluminum. For whatever reason, most pundits who have advocated investors buying into firearm stocks if Donald Trump becomes president have advocated the purchase of Smith & Wesson Holding Corp (NASDAQ:SWHC). But that crowd may already be a little crowded even before it happens … if it happens. As an alternative, consider Sturm, Ruger & Company (NYSE:RGR), for the exact same reason. That reason is, Donald Trump is a huge advocate of the Second Amendment, which gives citizens of this country the right to bear arms. It’s a bit counterintuitive. If Trump makes it even easier to acquire a firearm, consumers won’t feel the urgent need to acquire one. Take a step back and look at the matter from a distance, though. It’s prohibitively difficult for many to purchase a gun now, and some would-be gun-owners are fearful that Hillary Clinton would confiscate them. So why bother buying one? That fear wouldn’t exist under Trump. The idea of constructing a wall at the United States/Mexico border, even if it shouldn’t be counted out entirely, is logistically laughable. Trump’s plans to reignite the American economy, however, are far more serious as well as plausible. And it’s no big secret he loves to build things. 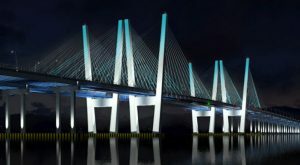 His previous projects were obviously for his business ventures, but he has an affinity for the idea — plus creating jobs — and would likely be supporting of any initiatives that involved construction and infrastructure overhauls. That puts heavy-engineering name Granite Construction Inc. (NYSE:GVA) on any investor’s list of stocks to buy if Trump is elected. Bonus: If the Mexico/U.S. wall does end up being built, Granite Construction already has a relationship and history with the federal government. Trump may have contradicted himself more than once on more than one issue, but there’s one matter he has never minced words about — he’s a big fan of a bigger, better military. The simplest way to play this is with a stake in the iShares Dow Jones US Aerospace & Defense ETF (NYSEARCA:ITA). Last but not least, add Apple Inc. (NASDAQ:AAPL) to a list of stocks to buy should Donald Trump become president. He’s interested in giving the company a much-needed break. While Apple certainly has plenty of fans, followers and growth ideas, it also has problem: $200 billion in cash trapped overseas that, if Apple brings it to the United States, will see the government impose a tax liability of 40% on the amount. If Trump has anything to say about it, though, he could make it much easier for Apple to bring that cash home and injected back into the U.S. domestic economy. How? A one-time offer to repatriate that overseas money at a stunningly low rate. Access to that liquidity could be a watershed moment for the technology company. It could have its pick of acquisitions, and pay cash for them. Article printed from InvestorPlace Media, https://investorplace.com/2016/07/10-stocks-to-buy-president-donald-trump/.